Your mental health and wellbeing is as important as your physical health. We will help you find only the most highly qualified therapist in your area. Connect with the right therapist near you now. Very prompt response and very helpful therapists. Didn't know where to turn. The website was easy to use. Thank you. The work was all done for me and it helped me make a decision more quickly. The service was simple and straight forward. I selected a therapist and within an hour I had arranged an appointment. Would definitely use this service again. An excellent service which allowed me to find the therapist I needed with total discretion. Easy to use and clear. Found a great counsellor. Thanks. The service is extremely useful and easy to use. 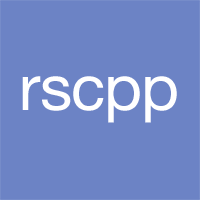 RSCPP is so easy and seamless to use that I almost forgot its key role in leading me to the excellent therapist I found. Great search function. Many thanks. A quick response from all. Overall excellent service. This is a wonderful site and very helpful. It was a stab in the dark for me, and it made me feel so good to find it so fast and easy. Find out more about the problems you are having, read about the different recommended therapies available and how therapy can help. Search our detailed professional profiles of highly qualified therapists in 1,595 locations across the UK, choose someone to suit you and contact them directly through our secure service. Attend your first appointment safe in the knowledge that they have been independently assessed to be of the highest standard. We have 1,163 highly qualified therapists throughout the UK working in talking therapy with experience in areas from counselling, psychology, psychotherapy, psychoanalysis, cognitive behavioural therapy (CBT) and many more. Since 2007 we have been helping people to make a confident choice of therapist, fully informed by the detailed professional profiles on our site, and in the knowledge that they are accredited, chartered or registered by one of our carefully selected professional bodies.